You and your loved one will be served a delectable three course meal, chosen from an alluring set menu that is certain to tantalise your taste buds. From hand-stretched pizzas and innovative pasta dishes to delightfully decadent desserts, all food is prepared using only the freshest local ingredients. This fabulous experience is made all the more special by a glistening glass of prosecco each! The two of you will be served a delectable four course meal, chosen from an alluring set menu that is guaranteed to get your mouth watering. From pizza, pasta and salad to decadent desserts, all venues prepare tasty, authentic dishes, using only the freshest local ingredients. A fabulous flute of prosecco and a crisp glass of wine top off this divine eating experience! You and a loved one will be treated to an exceptional three course meal from a tantalising set menu that includes everything from pizza to pasta and salad to dessert, crafted from the freshest local ingredients available. Indulge in an unforgettable dining experience with a loved one at one of these friendly and buzzing locations, made all the more special by a fabulous glass of wine each. Zizzi restaurants are run the Italian way - passionate and homely with a little flair. Each restaurant is a bit different in character, architecture, age and feel. 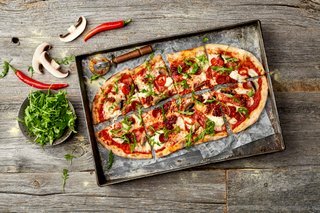 At Zizzi, they are passionate about food and take great pride in their menu, from pizza, pasta and risotto to indulgent desserts. Zizzi's motto is well-chosen ingredients, simply put together to create exceptional Italian food. Discounted gift cards allow you to save on all your Zizzi Gift Card shopping. Zizzi is a chain of Italian restaurants in the UK. The Zizzi motto is: "Well-chosen ingredients, simply put together to make exceptional Italian food". Today you can enjoy the Zizzi experience in any one of their 140 restaurants across the country.